I've never really been into DOF that much mainly the 3 other eras in BAT. You have spurred my interest greatly with this immense campaign. I'll have to watch The Blue Max, Fly Boys and The Red Baron for more inspiration. I am sure coming from you it is a well researched campaign with a lot of immersion to boot. Thanks for this great awesomeness Simon. FMB is pretty dense these days but I began working on these four years ago! Writing it out, sequencing, aircraft research, borders and frontlines, dates, places, weather reports, local and global history, technical notes, took most of that time. If its all written out, that's the key, then you can knock off a mission here and there as time allows. I got back to it whenever possible while doing a few other projects along the way. Trying to fly Lucky 8 and can't taxi without crashing plane. Wonderful scenery though. Can't YET, you just need some practice. Don't be so ham fisted on the throttle. These WWI kites were really very lightweight over powered tricycles on the ground. You never have a lot of taxiing to do, but you can, VERY GENTLY, move it along using your throttle, rudder and brakes. Many of the Neiuports in particular will easily float away on about 70% throttle, just go easy with it. If the daft old AI can do it, you surely can! Brilliant Simon, cannot thank you enough. One quick question please, as you know i started 1914 for the French in the Vosges mountains in the older version. Can i just now carry on with the pilot career, after over writing the old one with this later version ? 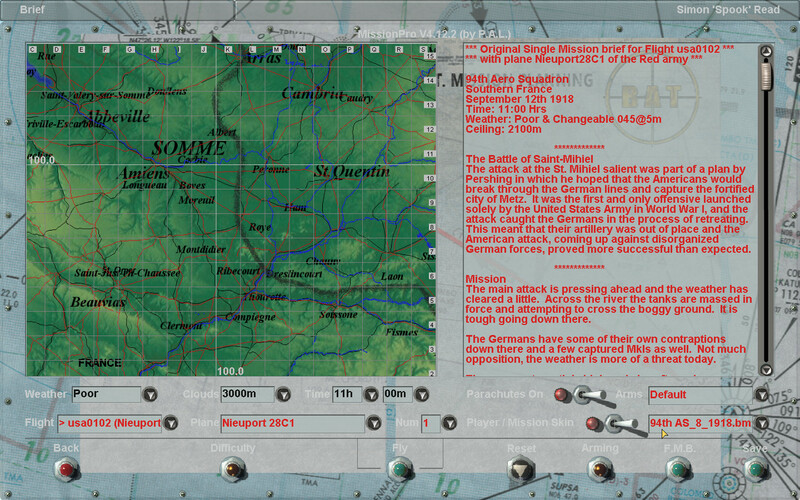 Thanks Simon, not a big problem as i had only progressed as far as the Vosges mountains missions. So i am now still in 1914, but over the Wipers area. 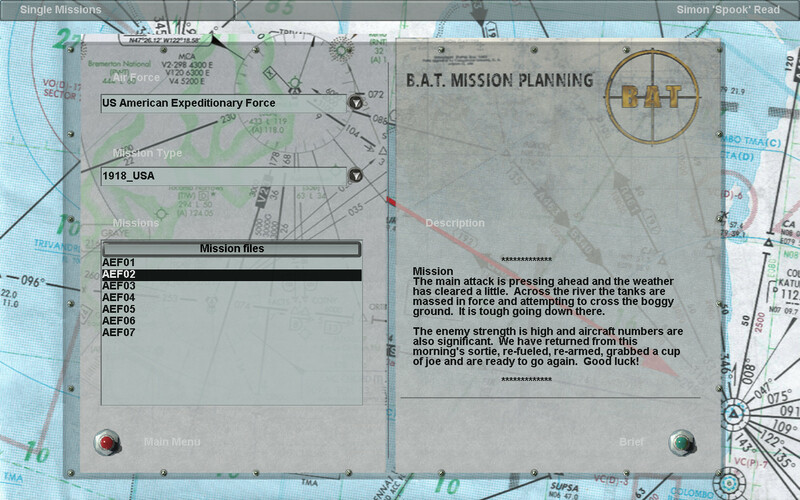 Which must be utilising the new versions of these fantastic missions. Great ground detail around the bases. A lorry drove across in front of me yesterday, when i was taking off. I was still smiling when i was landing, after carrying out the reconnaissance mission. Still no take off in Lucky 8 or Pincers creeping along at 15% throttle to get to field , turn into the wind, if I get that far , throttle up to 40% increase to 60% back pressure on stick , nose in, engine inoperable. This is balloon busting mission, as in briefing, seven balloons at primary recon markers. BUT, the balloons are British, and the Italians are Allies, so of course I didn't shoot them down. Got a mission complete due to recon markers and headed back home. I think these were supposed to be Hungarian or German balloons. Having a great time. 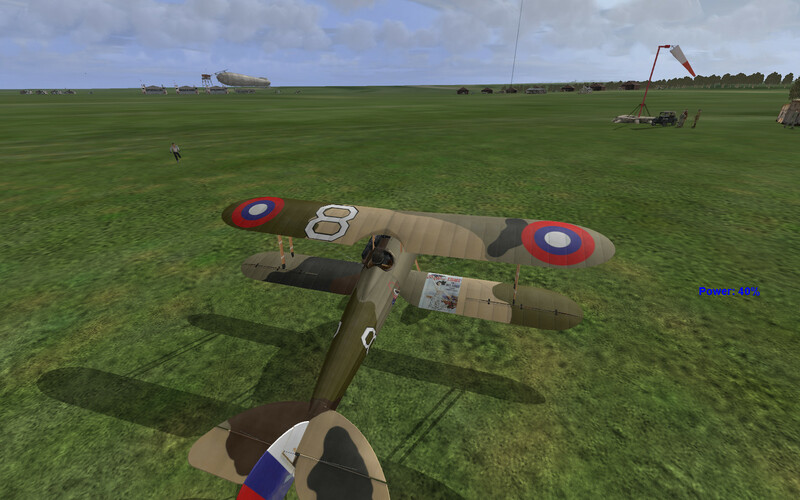 On flight #332 (102 of them were test flights since I'm going through all the planes) with the Albatros D.I my favorite so far, with SPAD VII close. It is the speed. I do so much better when I keep speed up and Albatros is making it easy. 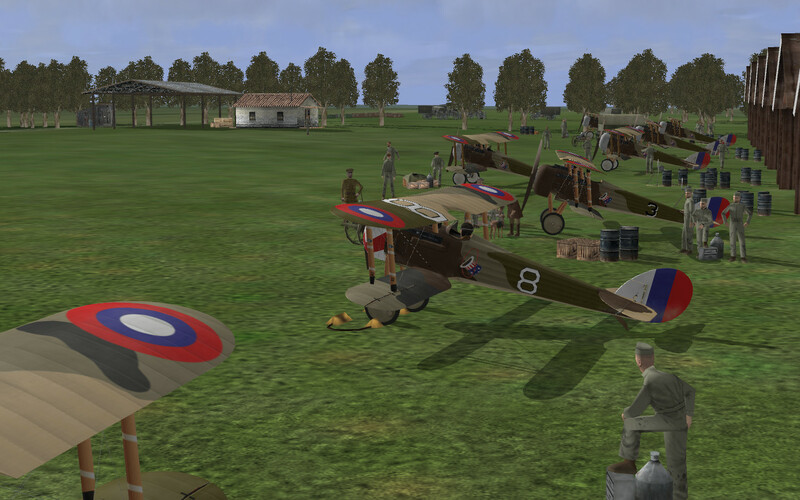 Your campaigns so far has given me 311 air victories, 124 ground targets, and I've lost 49 aircraft of all types due to combat, stalling, collisions, or just plain accidents (tree, vehicle, etc). Its fun to keep record, and things are improving because the planes are slowly getting better. 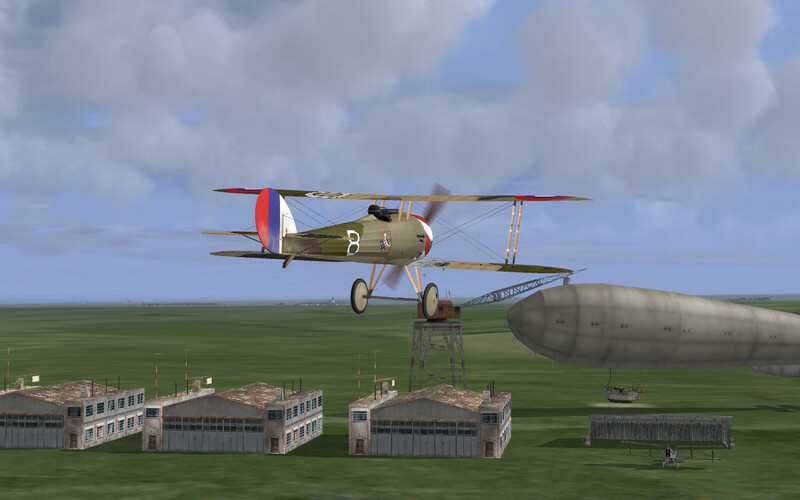 Looking forward to SPAD XIII one day and all the Albatrosses. First flight with Albatros D.I and I'm swooping down for a kill and an ALLY Albatros knocks off my port wing and smashes into the enemy I was targeting. I crashed to ground okay, just wing and wheels missing, but unharmed. But my over eager ally and enemy were nothing but smoking debree. Well, another plane loss, but this one due to an over eager ally AI. I love it, just about anything can happen. 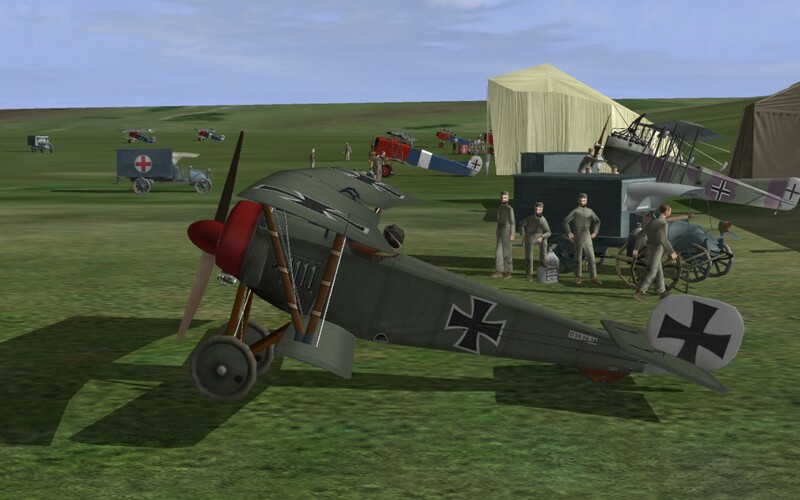 When in SPAD VII, I was in a real mess, enemy Albatros planes everywhere. I was just trying to stay alive and BANG!!! 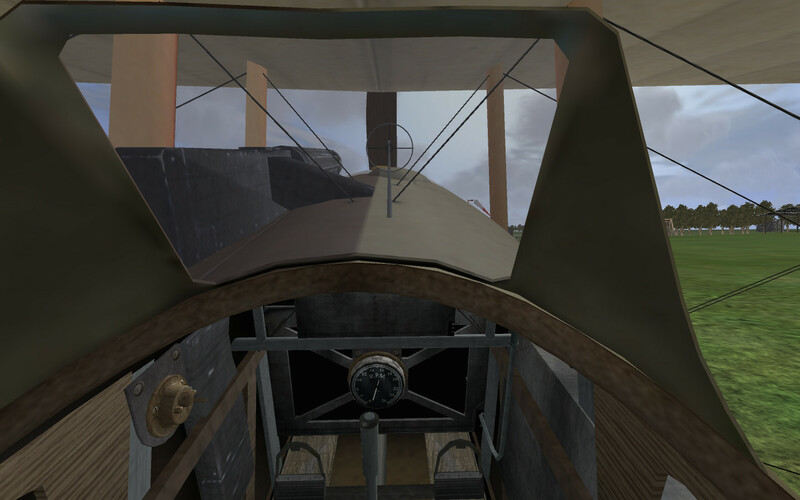 two enemy Albatros collided 12 meters off my starboard wing (can't beat three wide screen monitors), they were over eager to end my days. Those two I wouldn't be shooting down, but seven others I did and survived, but it was close. With your campaigns getting completed, skills are improving. Deflection shooting can't be thought about too much, you just get a feel that improves with lots of practice. It seem almost unfair to save an ALLY by taking off his attacker with a quick shot from an almost 90 degree angle, but it is so very satisfying. Back to the flight line, planes and missions to fly. Hope that SCW one is coming by the time I get there, but I'm not pushing. Or did I just do that? Sorry. Thank you gmkump. This is fixed in the patch, which will be kept updated if there are any other issues you come across. Its easy to polish up a few bits and pieces. Sometimes the odd spello or wrong object gets past quality control. This is a hazard the bigger and more ambitous the project. If you, or anyone else, mention any issue in here I will take another look, make any necessary changes and up-date the Patch. I don't know how the target got allocated the wrong side! That's the trouble when dealing with the Italians, they are a law unto themselves and you never which side is which! Still no luck in taxiing and taking off creeping along only gets me so far and the plane noses over and is inoperable in both AEF campaigns. Just in case I reloaded Part 12, then DOF missions and DOF patch, with no change. Clearly something in your setup is wrong. You need to be thoroughly familiar with all of the mapped keys. 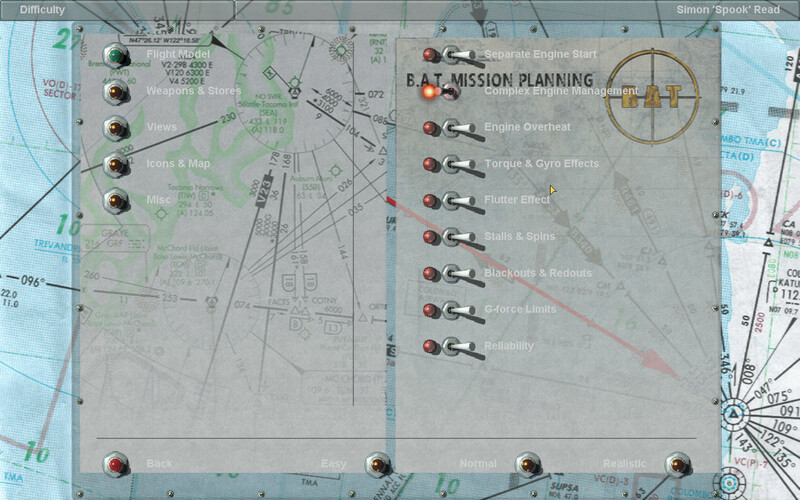 Autopilot, as explained in the manual, is not generally used in these missions so a manual startup is the first step. Check trim is centred and stick movement neutral. Next, run up the engine, ie; chocks in and briefly peak the power and move your throttle control to its fullest extent before slowly winding it back to tick-over. This also helps to calibrate USB peripherals on first use per session. Next, chocks away and also pump the brakes, left and right, so that the aircraft freely rolls. Your symptoms do indicate sticking brakes and pumping them on and off often helps. Not necessary here, 40% power has the little 28C leaping away! Now rolling smoothly, you have good steering and usually just have to swing around into the wind. Gradually wind it up and, on the lighter aircraft especially, hold the stick back to prevent early ground looping. Normally you would want to fly the tail for a while, but if you are nosing over too early hold it back instead. Missions #1-4, 7-8 all start about a 100 meters above ground, player's craft pointing to the sky. And of course, down you fall and after hitting the ground, you are no longer in condition to take off. So missions are unplayable. Mission #5 has that "sky dancer" problem where the screen flickers and hangs, but hitting escape and space dumps you out. Mission #6, Balloon Busting was only playable mission, because it was an air start, so I dutifully shot down four balloons and got mission complete at final recon marker. Not missing out on this campaign though, because I hate the Siemens-Sch D.I plane, way too underpowered for this part of the war. Forgiving, very difficult to stall, etc. a novice could fly, just too darn slow for the competition if faces. I did well in Kaiserschlacht SSDI campaign with 26 kills, but could not keep up with Allies, let alone take forever to get some real height in the blasted thing. This is due to a loadout/spawn bug with the aircraft. Mission Designers please note: - When using the SSDI 'Extra Ammo' must be assigned to all aircraft to prevent spawn exploding. Somehow this set lost that instruction, probably during cut and paste. There is nothing basically wrong with it otherwise and its easily fixed in 2 minutes. The Patch is updated again to included these fixed missions. Huge thanks to gmkump for catching this one. For the sake of completeness please grab the patch and get them corrected. Many thanks for the update patch Simon. I love flying these old string bags.